Hello friends!! Today I made a tag. 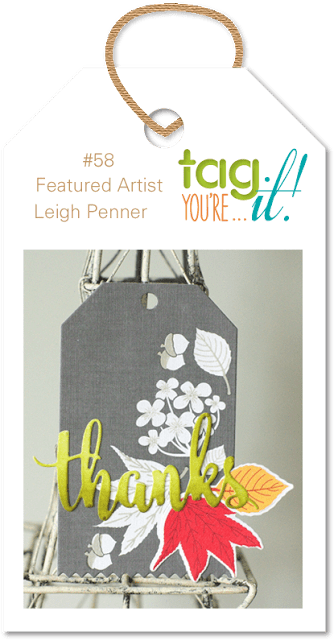 I love this beautiful tag by featured artist Leigh Penner at the Tag You’re It Challenge, so many pretty details. 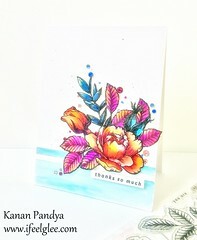 I love this floral stamp set ” Summer Garden” by Simon Says Stamp, it is so beautiful!! 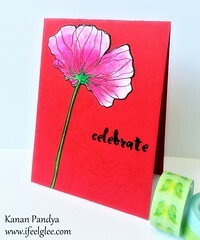 I white embossed the flower and leaves on a card stock and inked them with various shades of Distress inks. 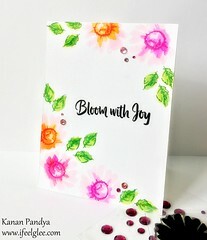 for the background of my tag I chose this beautiful pattern paper from “Forever Green” paper pad by Prima. 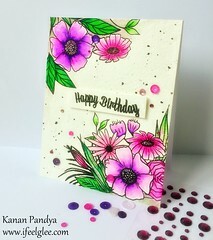 It was already having beautiful botanical patterns on it but I also wanted something bold so I white embossed one of the image form the same stamp set and after that I adhere my flowers on to it. 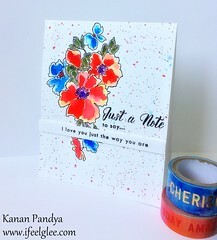 I white embossed the sentiment form the same set and fussy cut it and adhere it on the tag. Finally added some sequins and stikles on it. I really like those bright flowers on that beautiful background. 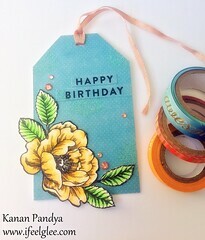 Hope you will like my tag. This is so pretty! That black background is gorgeous behind the faublous flowers. 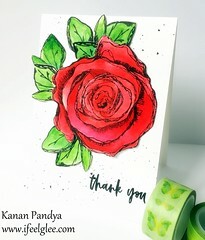 Thanks so much for joining us at The Flower Challenge. 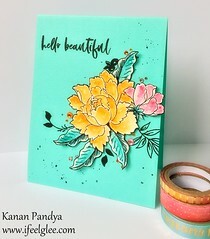 This is one of the most beautiful tags I’ve ever seen, love the combination this colors that just shine even more against that awesome black background. 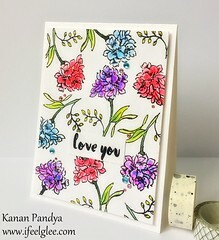 Great job, the colors on the flowers really stand out. Many thanks for joining us at Tag You’re It Challenge. I have that stamp set and hardly ever use it. You’ve inspired me to get it out, Kanan. I love what you did with it on your tag. I’m so glad you shared it with us at Tag You’re It! 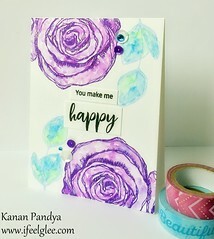 Previous Previous post: Guest Designing – Mudra Craft Blog!!! Next Next post: Believe in Good!! barbara on Just For You MOM!! Andrea Ockey Parr on Love & Hugs! !